For those loving the simplest things most, a gentle-cleansing soap collection with clean aroma and extracts known actively to sooth a face at the end of a non-pure day. Formulas with a natural content varying between 95,9%-99,3%, free of harsh chemicals and enhanced with organic almond oil and KORRES own Greek flora extracts, an outcome of the brand’s collaboration with local farmers. A natural glycerine soap, that removes skin impurities effectively. 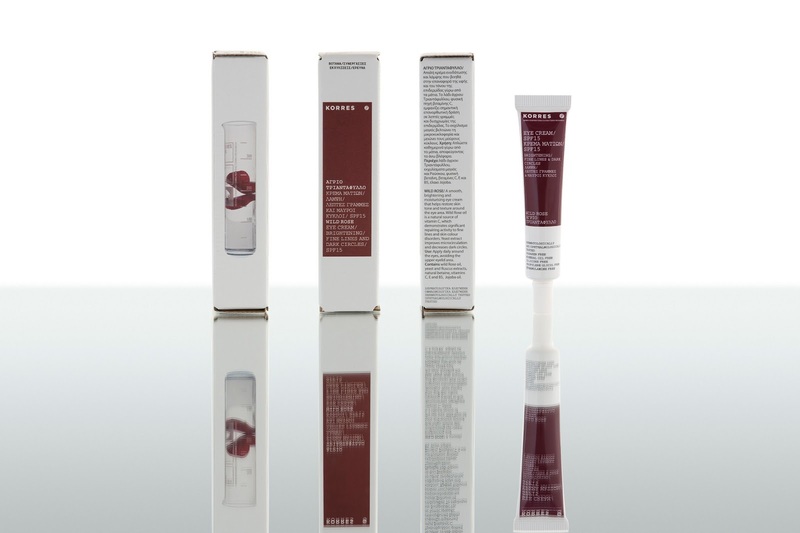 Pomegranate extract, with its mild antiseptic and toning properties, helps tighten the pores and tones the skin. A natural glycerine, mild cleansing soap with Chamomile extract, rich in emollient and soothing properties, that reduces irritations and Almond oil that moistures and conditions the skin. A fine-textured, natural glycerine face soap, which cleanses gently without stripping the skin. Wheat proteins form a protective film on the skin thus helping it retain its moisture. An exceptionally mild, cream lather soap that leaves a velvety feel on the skin. Milk proteins reduce inflammations and accelerate skin recovery. The Pomegranate extract is a rich source of tannins, anthocyanins, vitamins (A, C, E) and minerals and is widely used for its antioxidant properties. One pomegranate contains three times the antioxidant properties of red wine or green tea. This high level of antioxidants is effective in combating free radicals that cause premature skin cell ageing. Pomegranate extract has also significant astringent properties, due to the contained tannins. As a result, it tightens the pores and strengthens the skin epidermis, thus being ideal for oily and combination skin. Chamomile [Matricaria recutita], a popular Greek field herb, is considered one of nature’s most valuable medicinal plants, mainly due to its strong anti-inflammatory properties. Chamomile extract, with its emollient and soothing properties, reduces mild skin irritations. Its vast therapeutic applications, have led to its cultivation all around the world. Wheat has always been a symbol of good health and fertility while all stages of cultivation have forever been accompanied by rituals defining everyday life. Wheat aleurone, the thin layer under the bran, is the part of the wheat kernel with the highest content in vitamins and minerals. It contains an abundance of B2 vitamin, which improves the metabolism and aids the absorption of nutrients; B3 plays an important role in promoting healthy skin and B5 possesses regenerative properties. Milk has been used as a cosmetic since antiquity for its moisturising, purifying and nourishing properties. It is still considered an invaluable skincare ingredient due to its rich composition and skin compatibility. Thanks to their excellent absorption and water-binding ability, milk proteins have excellent moisturising properties, offering more than 40% essential amino acids that cannot be synthesised by human cells. They play a vital role in the maintenance of normal cellular metabolic activity, participating in the synthesis of collagen, elastin and keratin. They have a high affinity with the skin’s natural components and are acknowledged to be true epidermomimetic substances, remarkably biocompatible, and therefore perfectly well tolerated. A new, fluid, non-greasy sunscreen completes the KORRES YOGHURT SUNCARE collection based on the unique benefits of edible, organic yoghurt. 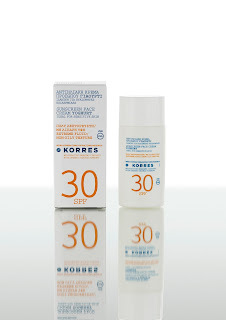 The new Sunscreen Face Cream SPF30 provides photostable protection against ultraviolet radiation [UVA-UVB] and soothing properties; it is easily absorbed, offering a matte finish and meeting the special needs of sensitive and oily /combination skin – ideal for everyday city or holiday use. 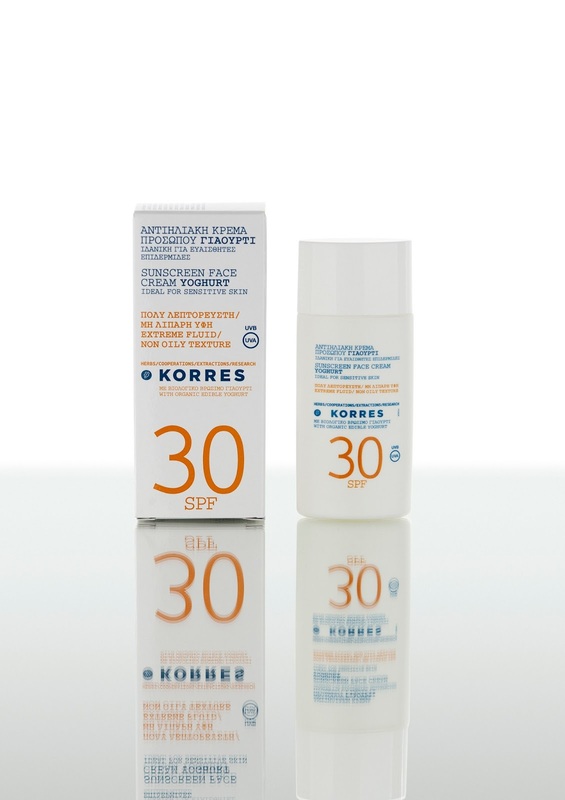 Inspired by the long-lived Greek tradition of applying yoghurt onto sunburned skin, the development of the KORRES Yoghurt line took over three years and it still remains a global-first, as this was the first time edible yoghurt was incorporated into a cosmetic formula. The decision to avoid using desiccated yoghurt powder was in order to ensure that yoghurt’s unique properties were maintained in the final formulation. Yoghurt, a natural source of lactose, proteins, minerals and vitamins, increases the water content of the epidermis' top layers and refreshes the skin. Photostable UVA&UVB protection. With a very fluid, non oily texture that is easily absorbed combining sun protection with hydrating and soothing properties. Tropical rain, barefoot walking in nature, sweet, ripe mango slices; the mood of the new season KORRES body wash. For those enjoying long, decadent showers seeking for a feeling of liberation, this natural KORRES Mango showergel is packed with wheat proteins helping the skin retain its moisture. It is also the first of the Greek skincare brand’s body products to appear in the newly revamped, eco-friendly packaging. 250 ml/ 8.45 Fl. Oz. Wild Rose, a KORRES ‘trademark’ ingredient, and a ‘synonym’ of the Greek skincare brand’s history, is the main active of the first ever KORRES cosmetic product. Still a global best-seller 15 years later, the Wild Rose 24-Hour Moisturising and Brightening Cream – the first ever 24-hour natural moisturising cream - was ‘born’ in 1996, like KORRES. 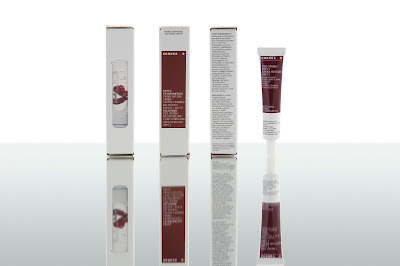 As part of the year-long anniversary, KORRES is revisiting its ‘classic’ formulation to introduce three new skincare products, all developed based on the benefits of Wild Rose; hydration and brightness alongside repairing action on fine lines and skin colour disorders, and exceptional moisturising properties due to its synergistic action with other natural extracts like Imperata cylindrical. A smooth, brightening and moisturising eye cream that helps restore skin tone and texture around the eye area. Wild Rose oil is a natural source of vitamin C, which demonstrates significant repairing action on fine lines and skin colour disorders. A yeast extract increases the cellular oxygen consumption and improves microcirculation, thus decreasing dark circles, while natural derived betaine provides elasticity and strengthens the delicate skin around the eye area. Vitamins C and E offer potent antioxidant protection working against fine lines, while provitamin B5 enhances the cream’s moisturising action. With SPF 15 to protect against photo-ageing. great. I don't understand who you're however definitely you're going to a famous blogger should you are not already. Cheers! It's pretty worth sufficient for me. In my view, if all webmasters and bloggers made just right content as you probably did, the net will be a lot more useful than ever before. Hi, the whole thing is going well here and ofcourse every one is sharing facts, that's in fact good, keep up writing. you're working with? I'm planning to start my own blog in the near future but I'm having a difficult time deciding between BlogEngine/Wordpress/B2evolution and Drupal. The reason I ask is because your design seems different then most blogs and I'm looking for something unique. you've got here on this post. I'll be coming back to your web site for more soon. There's no doubt that that you need to write more about this subject matter, it may not be a taboo subject but usually people do not talk about these subjects. To the next! Cheers!! really understands what they're talking about on the internet. You certainly understand how to bring an issue to light and make it important. More and more people need to look at this and understand this side of your story. I was surprised you are not more popular given that you definitely have the gift. What's up, this weekend is fastidious in support of me, because this occasion i am reading this impressive informative piece of writing here at my house. I'd really love to be a part of community where I can get responses from other knowledgeable people that share the same interest. If you have any recommendations, please let me know. Cheers!